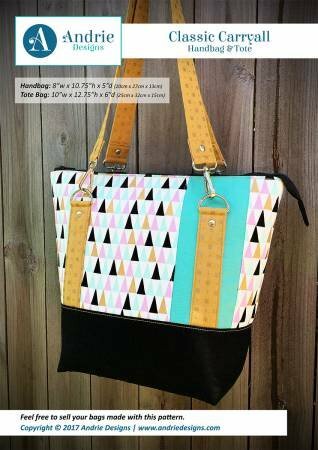 An easy to follow sewing pattern to create a classically styled handbag or tote in just a few simple steps! This pattern has been designed with the 'less is more' sewers in mind and features box corners, shiny hardware and straightforward construction techniques. It is the first pattern in the Andrie Designs Classic Collection.